The Prime Minister of the United Kingdom of Great Britain and Northern Ireland is the political leader of the United Kingdom and the Head of Her Majesty's Government. The office holder is responsible for selecting all other members of the government, chairing Cabinet meetings and deciding when to call a new general election for the House of Commons. There is no specific date when the office of Prime Minister first appeared, as the role was not created but evolved over a period of time. However, modern historians generally apply the title of "First" Prime Minister to Sir Robert Walpole, who led the country for 21 years from 1721 to 1742. The only requirement of eligibility for a modern Prime Minister is to command a majority of the seats in the House of Commons, meaning that the Prime Minister is the leader of the largest party or largest coalition of parties within the House. 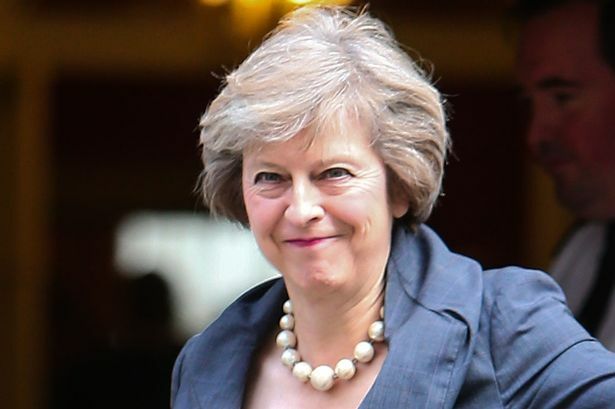 Following the resignation of David Cameron on 24th June 2016 after the European Union membership referendum, the office is held by Theresa May, the current Leader of the Conservative Party. The Conservative Party is descended from the historic Tory Party which was founded in 1678. Due to this lineage the party is still often referred to as the Tory Party. Its members are also called Tories. The Conservative Party was in government for two-thirds of the twentieth century, but it has been in opposition in Parliament since losing the 1997 election to the Labour Party. The Whigs are often described as one of two political parties (the other being the Tories) in England and later the United Kingdom from the late 17th to the mid-19th centuries. It is more accurate to describe the original two ideas as loose groupings, or more precisely, tendencies. While the Whigs' origin lay in constitutional monarchism and opposition to absolute rule, both might be termed conservative by modern parameters. Party politics did not begin to coalesce until at least 1784, with the ascension of Charles James Fox as the leader of a reconstituted "Whig" party ranged against the governing party of the new "Tories" under William Pitt the Younger. The Whig party slowly evolved during the 18th century. In general terms, the Whig tendency supported the great aristocratic families and non-Anglicans (the "dissenters," such as Presbyterians), while the Tories supported the Church of England and the gentry. Later on, the Whigs drew support from the emerging industrial interests and wealthy merchants, while the Tories drew support from the landed interests and the British Crown. The Whigs were originally also known as the "Country Party" (as opposed to the Tories, the "Court Party"). By the first half of the 19th century, however, the Whig political programme came to encompass not only the supremacy of parliament over the monarch and support for free trade, but the abolition of slavery and, significantly, expansion of the franchise (suffrage). Eventually the Whigs would evolve into the Liberal Party (while the Tories became the Conservative Party). After the First World War, a new party came to power in the British Parliament, the Labour Party. The first Labour MPs had been elected in 1900 as representatives of the Independent Labour Party. The Labour Party formed a minority government in 1924, but it did not last. Labour first formed a majority government in 1929. The rise of the Labour Party came however at the expense of the other non-Conservative party, the Liberals, and Labour replaced the Liberals as the main alternative to the Conservatives. From 1929 to 2010, power alternated between the Conservatives and the Labour Party. Following the general election of 2010, no single party emerged with an absolute majority of MPs; so for the first time in living memory, a coalition government was formed, with the Conservatives and the Liberal Democrats sharing power.